For McDonald's, the announcement comes days after its global headquarters cut short its top-tier sponsorship of the Olympic Games, which has since been picked up by Intel. The fast food chain is better known for its sponsorship of grassroots sport, which has been criticised by health experts for linking unhealthy food to programs that promote a healthy lifestyle. It's not the first time the fast food giant has dabbled with eSports. In 2014, McDonald's Sweden created eSports themed burgers and earlier this year it sponsored the Madden Bowl tournament in the US. Esports offers the brand an uncluttered platform to reach teenage boys and young male adults, one of the tougher demographics to crack. The move is another sign brands are warming to eSports in this market. Just last week, Seven launched its own eSports platform, ScreenPlay. 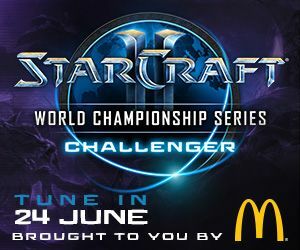 McDonald's has become the first commercial partner of the StarCraft 2 World Championship (WCS) eSports Series, which has expanded into Australia with two new events. 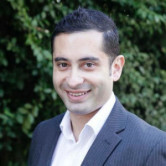 The sponsorship, Australia-only at this stage, includes naming, on-ground activations, content integration and branding across all touchpoints linked to the event. It is the first time Blizzard's StarCraft 2 World Championship is being sponsored and the first time the WCS tournament is taking the form of a live tournament since 2012 after You Know Media entered a partnership with StarCraft developer Blizzard and ESL to produce the event. “It’s a big step to support this growing sport and its huge local audience, which is hungry for brands to help take them to the next level. Credit should go to Blizzard who recognised the potential in a new partnership like this which grows the category and challenges how brand sponsorships can enhance and grow sports,” You Know Media CEO Ryan Cunningham says.